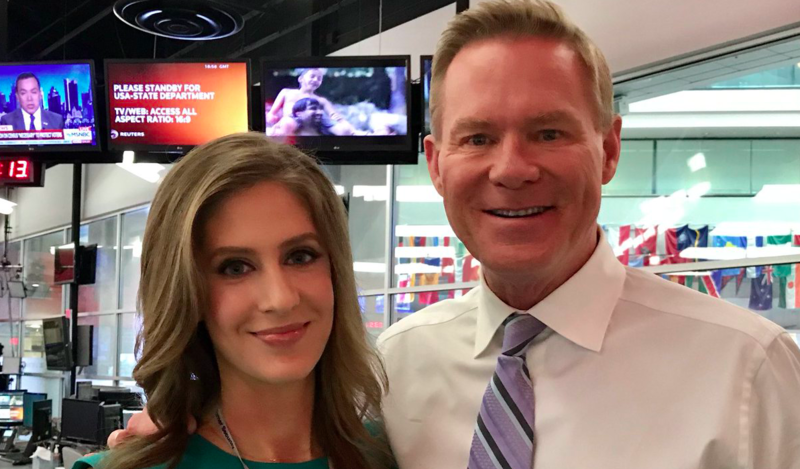 Bianca Nobilo, who worked previously out of CNN London as a writer and producer, recently appeared anchoring weekend editions of CNN Newsroom out of the CNN Center. Now, Nobilo has a (temporary) long-term assignment: she’ll be hosting CNN Today alongside veteran anchor Michael Holmes while co-anchor Amara Walker takes time off for her maternity leave. She is a terrible presenter she can’t read an autocue properly, the chemistry between her and Michael is non-existent. Linda Kinkade would have been a much better choice. I guess it must be tough though, stepping into “CNN Today” Michael and Amara have worked together for a long time 6 days a week. They are going to be more relaxed and know each others ticks and trips. Bianca has nailed it, a few days in and she’s as natural as most CNN International hosts. But you DO notice it when you get other anchors covering. Studios are strange places, talk back constantly in your ear, Autoscript, lights, cameras and live throws. Top respect to all the guys out front. Not an easy job I’ve tried and died! My favourite is Richard Quest, great attitude with a good dose of light hearted banter. Hala Gorani is superb! Of the Domestic US CNN Anchors, Kate Bolduan is fun to watch, Wolf and Anderson Cooper of course!! Enjoy listening to Bianca Nobilo discuss various British political subjects. She duos well with Hala Gorani, the other one of my favorite CNN presenters. Has your BA in History taken at the University of Warwick assisted in your work at CNN?